In the bid to flush out terrorism in Nigeria, the police have embarked on massive arrests of illegal immigrants in Lagos, Ogun, Oyo, Kwara, Akwa Ibom and Bayelsa states, among others. This measures is specifically to prevent the Boko Haram terrorist group from spreading its attacks to the states. According to Saturday PUNCH the police Force embarked on the arrests of large number of aliens in Lagos State as a way of flushing out those perceived to be security threats. This followed an attack allegedly carried out by a female suicide bomber in Apapa area of the state on June 25. The source indicated that hundreds of such aliens had been raided by the police from different parts of the state. 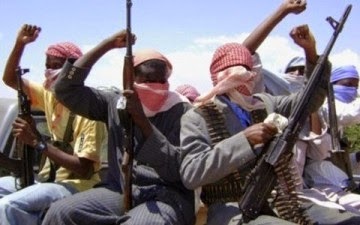 Though Boko Haram has been operating only in northern Nigeria, latest security reports indicate that the sect’s foot soldiers had infiltrated other parts of the country. It was learnt that since the attack in Lagos, police as well as the Nigeria Immigration Service stepped up efforts armed at arresting illegal immigrants by visiting parks and areas heavily populated by these immigrants. Spokesperson for the Ogun State Police command, Mr. Muyiwa Adejobi, said, “We are aware that there may be pockets of Boko Haram insurgents here. We are working based on that knowledge. It is only sensible to think that if the North is becoming too hot for the insurgents, they may want to come down South. But the Commissioner of Police, Mr. Ikemefuna Okoye, has put in place strategies for this reason. Saturday PUNCH investigation also revealed that the police had embarked on about 50 raids of identified hot spots in Kwara State within the past six months to forestall the incursion of members of the Boko Haram fighters. The Police Public Relations Officer, Kwara State Command, Mr. Ajayi Okasanmi, in a telephone interview with one of our correspondents, stated that the state Commissioner of Police, Mr. Ambrose Aisabor, had invigorated strategies aimed at preventing the deadly sect from infiltrating the state. He said, “We are not leaving any stone unturned to ensure that there is no infiltration of insurgents in the state. We have raided some hot spots in the state for over 50 times within the last six months. We have good relationship with members of the public who provide us with useful intelligence.” The Ondo State Police Command, in same vein, said that it was working with the Nigerian Immigration Service to ensure immigrants were scrutinised to prevent criminals from gaining access to vital areas and threatening the security of the state. The command’s spokesperson, Wole Ogodo, said, that viewing centres considered unsafe were advised to close down so that terrorists do not find them as soft spots to cause mayhem during the ongoing FIFA World Cup in Brazil. “It is not just a blanket shut down; we advised them not to open because such places may not be safe. It is an advice,” Ogodo said. In May, a joint taskforce in Akwa Ibom State raided markets and stalls in Itu and arrested dozens of immigrants who were later handed over to the Nigeria Immigration Service for verification and possible repatriation. Saturday PUNCH investigation revealed that 612 irregular immigrants were arrested in Akwa Ibom and repatriated to their various countries of origins in May, 2014. The state NIS Comptroller, Mr. Abdullahi Garba, in Uyo during the week warned employers of labour against patronising the services of irregular immigrants, adding that they might be baits used by terrorist groups to carry out attacks on innocent citizens. According to Saturday PUNCH investigation, Oyo State Police Command are also working underground to rid the state of aliens, illegal immigrants and people of questionable characters. In the last few weeks, plain clothed policemen have been present at major markets and bus stations. They mingle with the crowd but look out for their targets. The targets are people who could be standing idly in public places. A detective, who asked not to be named, said, “The police will not tell you what they are doing to ensure security. Such information is classified. It is top secret. But one of the measures the police are putting in place is to pick people suspected of being idle, especially in markets, bus stops and public places where many people are found at the same time. That is the kind of target that the terrorists pick as target points in order to get maximum casualty figure. Bayelsa State Commissioner of Police, Mr. Hilary Opara, said the police authorities in the state had sensitised members of the public to monitor their environment, homes and business premises. On raiding of aliens, the police boss said the command was liasing with the Immigration authorities in the state. Opara added, “Actually, the Nigeria Immigration Service has apprehended persons that do not have genuine papers residing in Bayelsa.